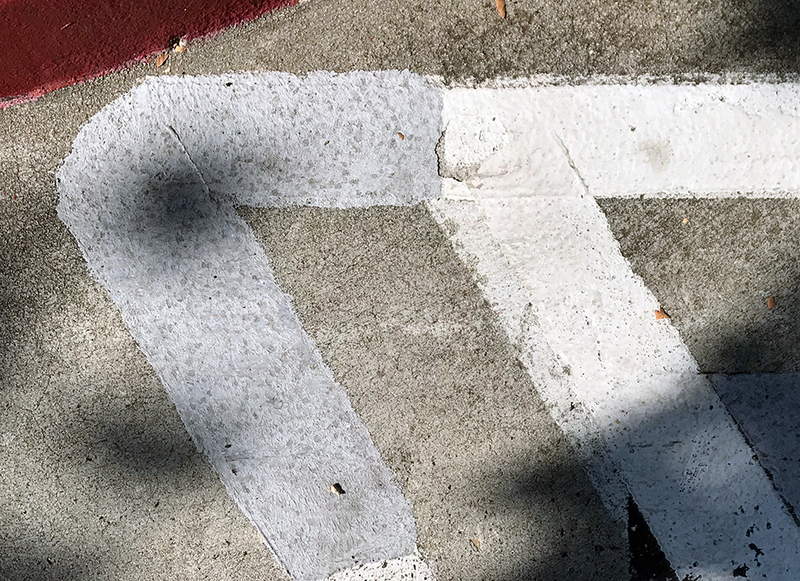 The grey, backwards ‘7’, in this segment of parking lot lines appears to be a correction, a connection between the discontinuous white lines. Irrespective of the line colors, I like the design: the wide lines as well as the space between. The red curve and dark grey shadows from the trees above add interest to this composition. This entry was posted in Personal Stories and tagged artistic process, composition, creative process, creativity, design, lines, parking lot, photography, street photography, visual arts. Bookmark the permalink.